In a previous post, I discussed paying off your debt as being one of the Five savings goals that will change your life. Chances are, you’re well aware of how being debt free will have a huge, positive impact on your life, you’re just not sure where to start, or how to figure out what to pay. That’s where online calculators can help you map out your repayment plan including the specifics of how much for how long. Most of this information is readily available on your credit card or loan account statement. Once you’ve got all your information at hand, pick a calculator and start playing with scenarios. Can you find an extra $50 per month to put toward debt? Where will it have the most impact? How quickly can you clear your first debt if you use the snowball debt repayment method? What if you made payments more often, how much time (and money) will you save? And, probably most importantly, if you change nothing and continue to pay your debts at the minimum amount required, how much will it ultimately cost you and how long will it take? You don’t need to be a math whiz or a financial expert to use these calculators, so give them all a test run to see which is your favourite. My favourite debt reduction calculator is the one at Credit Card Finder. 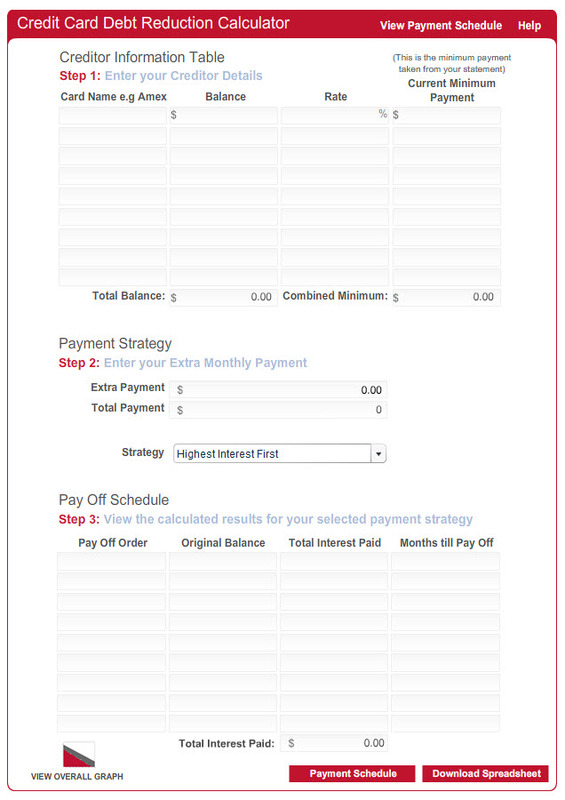 It includes step by step instructions and provides a repayment schedule and a spreadsheet you can download. You can see from the image below, the input screen is simple and uncluttered and, includes a Help feature. 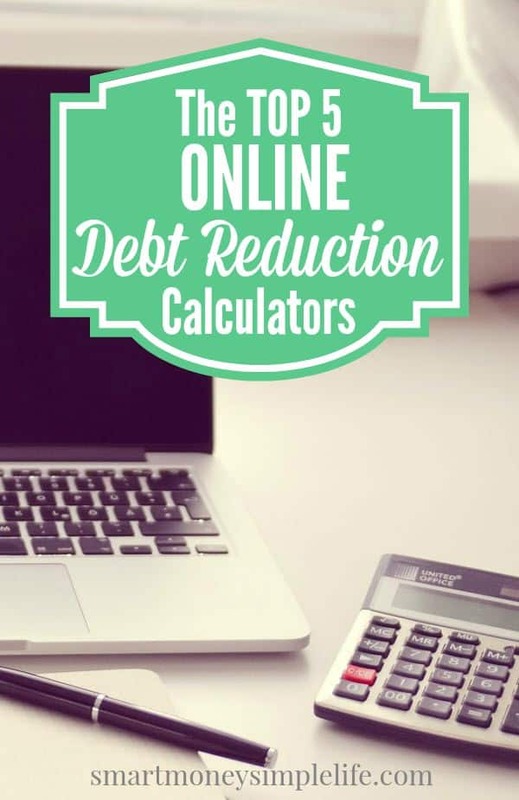 An online debt reduction calculator is a great place to start your debt repayment plan. The most important aspect of paying off your debt though, is being consistent. So, don’t be too optimistic. Create a plan you can stick to without too much sacrifice and revisit it often. Once you start seeing those balances come down, you might want to challenge yourself further. Have you found a calculator you’d like to recommend? Leave us a comment. I have a mortgage payoff app that I use all the time! Counting down on that loan- our only debt. 11ish years! An app… hmmm… I’m a bit of a Luddite with apps, although I have Snapchat, does that count? I will have to look into them though. All that information in the palm of your hand. Cheers!